Welcome to the 2018 Fish Fry Season!! We are looking forward to a great 2018 Fish Fry Season! We won't be posting as much this year on the website, so follow us on Facebook and Instagram for the latest as we visit fish fries. We often get the question, "How can we promote our Parish Fish Fry?". We don't have listings on www.FridayNightFish.com. 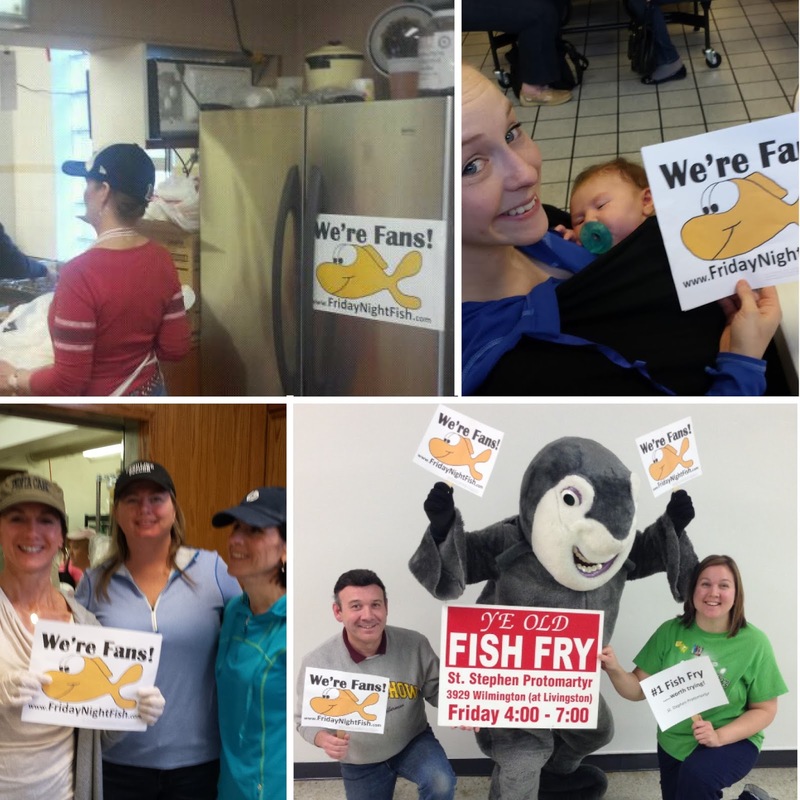 But if you take a picture at your fish fry with our Fan Sign and post it with the hash tag #STLfridaynightfish , we'll be sure to share it. Here's to a great 2018 Fish Fry Season! !